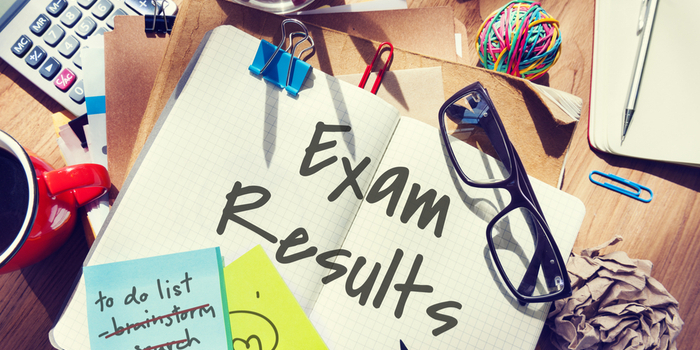 UK Board 12th Result 2019 - Uttarakhand Board of School Education (UBSE) will declare UK Board result for class 12 in the fourth week of May 2019. Students can check the UK Board 12th result 2019 in online mode using their roll number or name or via SMS facility provided by the board. Students can check their UK board result by followinf the link given below. The UBSE 12th result will comprise details such as candidate’s name, roll number, subject-wise marks, grades and qualifying status. Original mark sheets will be issued soon after the online declaration of UK Board 12th result 2019, which is provisional. This year, UBSE will conduct the Uttarakhand Board Class 12th 2019 exam from March 1 to 26, 2019 as per . In 2018, out of 1,32,381 appeared candidates, 78.97% cleared the examination. Read on to know more about UK Board 12th result 2019 including dates, the procedure to download and so on. Students preparing for Uttarakhand class 12th exam should go through the Uttarakhand Board 12th Date Sheet 2019. The important dates of the exam are given below so that they do not miss any important event related to the exam. How to Check UK Board 12th Result 2019? Click on the link to check UK Board12th result 2019 to be updated on this page once officially released. In the login window, enter roll number in the provided field. The result of UK Board 12th will appear on the screen. Verify that there are no errors in it. Download the result, take a printout of the same and retain it for future reference. Click on the link provided below to check UK Board 12th Result 2019. A login window will appear on the screen. Enter your name in the appropriate field. Click on the respective 'Find Results' button. Candidate's result will display on the screen. 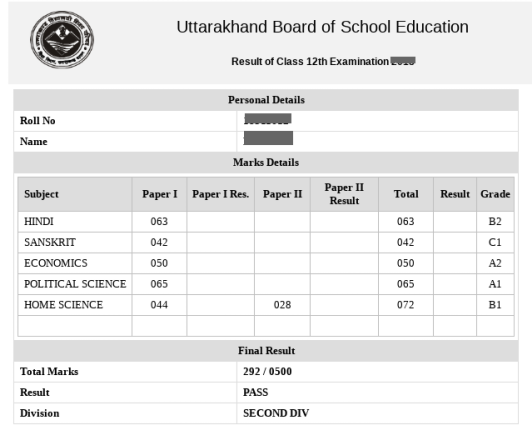 Take a printout of the UBSE 12th result and keep it safe for future reference. How to Check UK Board 12th Result 2019 via SMS? Students will be able to check their Uttarakhand 12th result via SMS. To do so, they have to type UT12<space>Roll number and send it to 5676750. Once the Board receives the text message, they will send detailed UK Board 12th 2019 result to the candidate’s mobile number including subject-wise and total marks, besides qualifying status. UBSE will declare the result of UK board 12th Arts in online mode in the fourth week of May 2019. Candidates can check their result by following the link given above. After passing class 12th, they can choose among various undergraduate courses after 12th arts. UK board will declare the result of UBSE 12th for science stream students in online mode. The board will declare the result for science students in the fourth week of May 2019. Candidates can check their result by following the link given above. They will need to enter the roll number to check their result. UBSE will declare UK board 12th result 2019 in online mode in the fourth week of May 2019. Candidates can check their result by following the link given above. They can check their result by entering either their roll number or their name. They can also check their result via SMS facility. What after UK Board 12th Result 2019? After the online declaration of provisional UK class 12 result 2019, the Board will issue original documents such as mark sheet and pass certificate to students. They will have to collect it in person by visiting their respective schools. After this, students will be able to apply for undergraduate courses after 12th or other professional courses of their choice. Your UK Board 12th brochure has been successfully mailed to your registered email id .